One way to get around the absence of mandatory labeling of GMO and GE foods, is to create a label that certifies a food is GMO and GE free. Anyone can say on a label that it is “GMO free,” but without certification, the consumer has no way of knowing if the statement is true or false. Now there will be a “Certified GMO/GE-Free” label, approved by the USDA, with certification by the Non-GMO Food Project. This label can be applied to meats and meat products, and also liquid egg products to assure the consumer the animals have not been fed a GMO diet. Many consumers are not aware that most commercial livestock are fed a GMO diet; and they may not aware of the conflict of interest involved with many Organic and Non-GMO Brands. Read on for more on these topics. In times gone by, such animals ranged in pasture, but that is no longer the case for much of our nation’s animal-based food supply. Instead, animals are kept in CAFOs (Confined Animal Feeding Operations) and are fed an unnatural diet (one their stomachs and intestines have not evolved to digest). That is, a diet of GMO corn or other grains, GMO soy, and GMO alfalfa. This unnatural diet causes the animal’s digestive system to become overly acidic, which in turn leads to ill-health. To prevent infections, the feed is laced with antibiotics, a practice many believe is behind the emergence of antibiotic resistant bacteria such as MRSA (Methicillin-resistant Staphylococcus aureus). 10 winners in each region: 10 regional winners, which includes The Good Food Store in Missoula MT. While this label can be helpful for shoppers, many of the parent companies of the GMO-free products donated very large sums of money against California’s Prop 37, and no similar measures in other state, that would mandate labeling of GMO foods. How can this be? The brands that produce the GMO-free foods have been bought up by large corporations who wish to protect their bottom line by opposing the labeling of GMO foods; for example, Ben and Jerry’s Ice Cream (owned by Unilever). It’s a conflict of interest that bears a close watch. 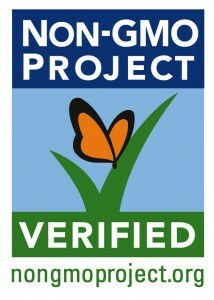 See my earlier post: Who Opposed California’s Prop 37 (GMO Labeling)? for more. Your best bet is to buy the basic ingredients fresh from local growers, producers and ranchers whose practices you trust, then prepare your own meals using these basic ingredients. In other words, avoid processed foods of all kinds, and shop local. See the Farm Hands Map (Flathead) (WhoIsYourFarmer.org) to find local food growers, producers, ranchers. Buy Organic. Note however that many processed ‘Organic’ foods are not 100% Organic, so you are still better off buying single-ingredient Organic foods, or buy local from growers/ranchers you trust. For more about how GMO/GE-DNA is made, and its many uses, see GMO-Awareness.com: GMO Defined (6). This site also includes a video link: To understand how genetic engineering is done, watch the 7-minute video on YouTube: What is Genetically Modified Food? (7)(an illustrated explanation begins at the 2.20 minute mark). YouTube: What is Genetically Modified Food? See also GMO Articles for more GMO-topic articles on The EssentiaList. This entry was posted on Friday, June 28th, 2013 at 4:01 pm and is filed under Agriculture, Food-Nutrition-Health, GMO, Home & Ranch. You can follow any responses to this entry through the RSS 2.0 feed. Both comments and pings are currently closed. We are the original grassroots group that organized to get the ballot initiative going in California. On January 20, 2011, Pamm Larry, a grandmother from Chico, California woke up and knew that it was her job from then until November 6, 2012 to do everything she could to get an initiative on the California ballot to label genetically engineered foods.